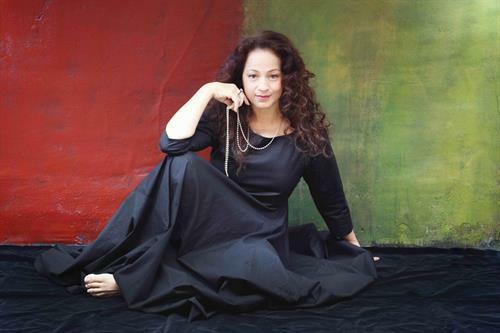 In 2015, Grammy nominated singer Perla Batalla began pondering songs to include in a follow up CD to her 2007 tribute release to friend and mentor Leonard Cohen. As a longtime singer and touring band member with the legendary songwriter, Perla knew there was much of Cohen's body of work she still wanted to perform and record. Batalla's first Cohen CD, Bird on the Wire was produced with Leonard's blessing; he attended the recording session, weighed-in on material, arrangements, and uncharacteristically participated in a photo session at his Los Angeles home to promote the project. Says Perla, "Leonard was having so much fun - at the last minute he ran to his closet for a silk ascot to look more suave in the photos!" Cohen's passing in November 2016 reaffirmed Batalla's mission of sharing the lesser-known songs of Canada's poet laureate to a younger public mostly familiar with the well-covered, "Hallelujah". She also wanted to dispel the too common mischaracterization of Cohen as "The Godfather of Gloom". The man she knew was more often than not, motivated by sly humor and absurdity. Perla Batalla in the House of Cohen features selected songs and rare personal anecdotes that serve to reveal Cohen's lighter side (like Mr. Cohen's deep affection for the .99 Cent Store and his delight at dining on hot dogs at Home Depot). The evening will reveal the timelessness of Cohen's art through Perla's signature cross-cultural style, to convey her sincere respect and deep love for the music, the poetry, and most of all for her dear friend, Leonard Cohen. Enjoy this one of a kind event in the warm ambiance and intimacy of Sunset Center's Studio 105.